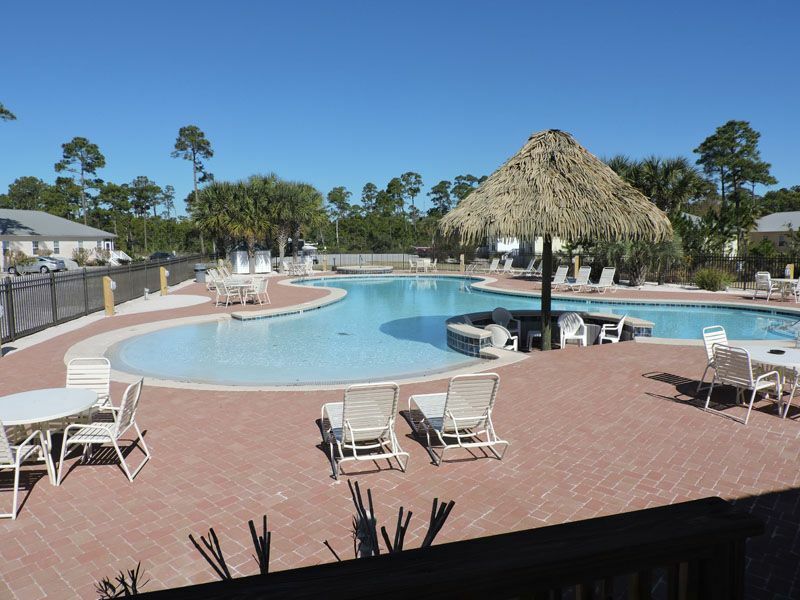 Use code SPRINGFUN2019 & save $$ online~Cute Cottage~2 Saltwater Pools!!! Relax on beautiful Fort Morgan Peninsula in Gulf Shores. The cottage is located in the Rookery Community, 15 miles west of Gulf Shores just past the 6 mile marker. The cottage is located in the Rookery Community which offers a large pool, zero entry for the little ones, hot tub for the adults and a tennis court. A Wildlife Refuge borders the cottage, a bird watcher's paradise. Easy beach access across the street, no crowds, no high rises, watch for dolphins on their daily swim. Ferry to Dauphin Island and visit Fort Gaines & the Sea Lab Estuary. Explore any of the three marked Bon Secour trails, all within a ten minute drive. Two championship golf courses are located on the peninsula. Historic Fort Morgan is only six miles away. The cottage is decorated bright and cheerful, Wi Fi is included for your convenience. Two queen size beds, both with NEW mattresses 8/01/13, one NEW queen sleeper in 2012. Cottage was painted for the 2014 season. Satellite TV in all rooms with 2 DVD players: full size washer, dryer and dishwasher. Ample parking, bring your boat. The Rookery is a quiet ONE OF a KIND community. Not a 'party house' but a nice relaxing retreat. Come and make some family memories. Park right in front of the cottage and no elevators to carry your things up. Just like being at home. The Rookery is a quiet ONE OF A KIND community. Not a 'party house' but a nice relaxing retreat. Come and make some family memories. You can't control the air! We stayed the last week in July...and we were looking forward to our vacation. We walked in and it was very beachy and we felt welcomed. Everything was clean and in order. There was everything you could imagine in the kitchen, even a crock pot! Beds slept well and everything was a plus until you got to the air. They had it set on 72. I don't know why there wasn't a control box over it to be honest. One afternoon the temperature got up to 78 and we did get prompt service. However, it did not get cool at night and it was uncomfortable. Everything was great, but we did expect to control our temperature. Minimum Age Limit for Renter is 25! Rates listed above do not include: Departure Fee $115 + tax Processing Fee $55 Lodging Tax 9.5% Damage Waiver $69 Please use the BOOK IT button to reserve your reservation today!